You are likely reading this because you have been injured and need the help of a personal injury attorney, or you are helping someone who you care about look for the help they need. 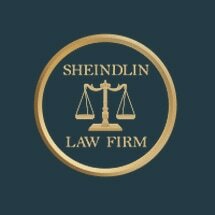 Whether you are seeking out the Sheindlin Law Firm after being referred to me or seeking my services based on any other reason, I'd like to tell you what you can expect from me and my firm. I work hard for my clients and am tenacious about fighting for the results they deserve. This includes not being satisfied until we secure the settlement or jury award you are entitled which often includes recovering medical expenses, pain and suffering and loss of earnings. Providing personalized attention and strong advocacy for each case is how I operate. In my opinion, it is what an attorney should and must do for each of their clients. This is the type of representation you will receive from me and my law firm.